Every year we provide a full meal on Thanksgiving to those in our community. Last year we delivered over 300 meals to shut-ins, home-bound, or others in our community who are unable to leave their home. Volunteers pack a full meal in a sack, and other volunteers deliver the meals directly to a person’s door. We work with Meals on Wheels and social workers in the local area to identify the recipients of the home delivery meals. To volunteer as a meal packer, a driver, or to help with the food itself, let us know. We also serve a sit-down meal at the church from noon to 2pm. 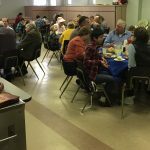 Last year about 80 people joined us for hot food and friendly conversation. Volunteers prepare and serve the meal, and the meal is open to anyone in the community. 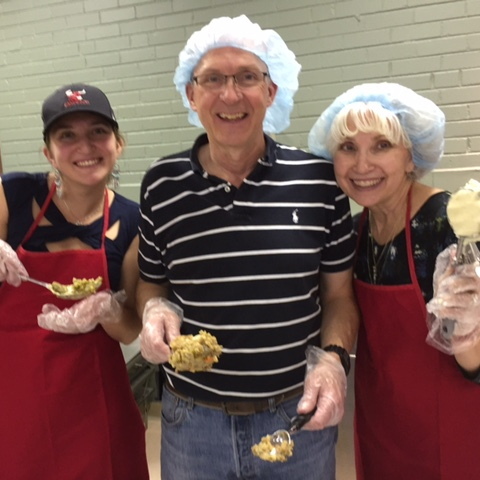 To volunteer for meal prep, cleanup, meal serving, or to help with the food itself, let us know.